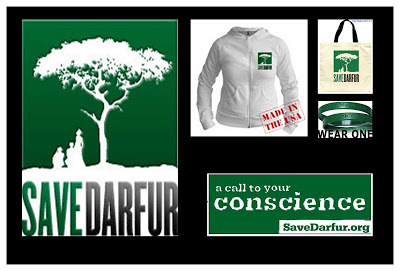 Back in 2004, when I was in graduate school, Washington, DC was peppered with signs reading, “Save Darfur. *” The Secretary of State talked about it. It was the Kony 2012 of 2004. Well, the LRA is still operating around Central Africa, and Darfur remains unsaved. It is far from over. In fact, in recent days and weeks, mass atrocities have been gathering steam in Darfur (and the Nuba, and anywhere else Omar al-Bashir has decided to terrorize in “his” country). Surprised? You shouldn’t be. International energy and attention has waned for Darfur in part because the international community refuses to address underlying problems that fuel crimes against humanity and genocide. There are many, many reasons for this. Here are just a few. Those who benefit from impunity are those who are in power. There is no impunity for ordinary people. A man who goes on a shooting spree in Kalamazoo, Michigan is arrested almost immediately. Black boys who play in parks and Black men who sell cigarettes are summarily executed, apparently for existing in public, and those who kill them are almost never imprisoned. But world leaders are reluctant to put other world leaders in prison or take any other measures against them, in part from fear that such measures could be used against them as well and in part from a misguided concern for sovereignty. Ultimately, world leaders know that criminal justice is not just (whatever they may say in public) and take measures to avoid any possibility of being called to account. There is a lack of empathy for, and thus a lack of political will to help, people who differ visibly from oneself. Should the US bar all Muslims from entering, as Donald Trump suggests? The idea has certainly caught on, just like the idea of building (another) wall between the US and Mexico has. Humans often look at people who differ from themselves as potential risks, rather than thinking of the real human suffering behind the movement of children out of Central America (the US Government is now giving the Mexican Government money to stop them before they reach American shores) or of large numbers of refugees out of Syria into Europe. People feel insecure about their own lives and are happy not to have to deal with another person’s suffering. It’s much easier not to. It’s much easier to vilify political leaders when they show empathy than to sacrifice tax dollars or other resources to help. That goes triple for a mainly Muslim Black African population. Strategies to end mass atrocities can also destabilize regions. Omar al-Bashir is everyone’s favourite kind of villain: an absolute dictator who has been in power for almost 30 years. Because he has been in power so long, arresting him will necessarily cause a power vacuum in Sudan. Sudan has had violent conflict more or less constantly from the time of its independence in 1956. Dislodging al-Bashir would bring an escalation in the conflict and also further destabilize South Sudan, Egypt, Chad, Ethiopia, Eritrea, Central African Republic, and possibly Uganda. It would disrupt trade and development in these areas at a bare minimum. However, Chad is already dealing with Sudanese refugees. South Sudan is in a state of civil war, and Egypt is not terribly far from it. Ethiopia and Eritrea continue to struggle with each other and Ethiopia faces internal unrest. The main effect is likely to be on the power elites within Sudan itself. War is terrible and destructive, but is targeting civilian populations truly a lesser evil? Something is wrong with a calculation that says that we must continue to tolerate systematic atrocities because what follows may be open war and political uncertainty. Omar al-Bashir is an indicted criminal. It is long past time for him to come to justice. The US gives more than any other country to humanitarian aid toward Darfur. It is not enough. We must be willing to demand that Sudan be suspended from the WTO, the UN, and other intergovernmental organizations until al-Bashir is arrested. He must not be allowed to travel internationally. Most importantly, on a human level, we must work to foster empathy in ourselves and to fight the impulse to push others to the margins of humanity.